A place to admire from the heights all the scenery that makes Xel-Há a Natural Wonder, and to have fun descending in a waterslide at more than 98.5 feet (30 meters) high. 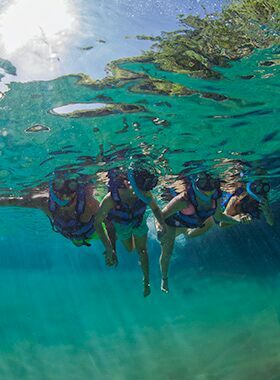 Discover a paradise under the water of Xel-Há, Natural Wonder of Quintana Roo. 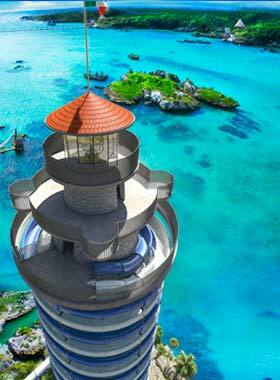 Enjoy snorkeling and admire the wide variety of fish in a unique place. 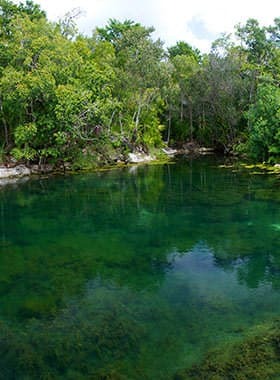 Relax and just go with the flow of the refreshing waters of the underground rivers and pass through beautiful nature that surrounds the river of Xel-Há while snorkeling or floating in an inner tube. 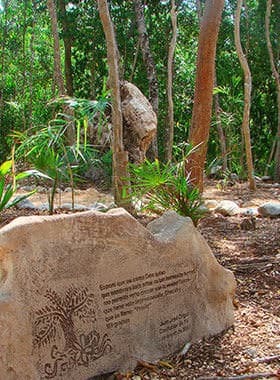 Explore a quiet place for reflection that safeguards the natural park of Xel-Há. 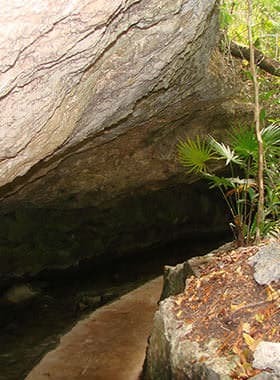 The cave is an enigmatic place ready to be discovered by Xel-Há visitors. 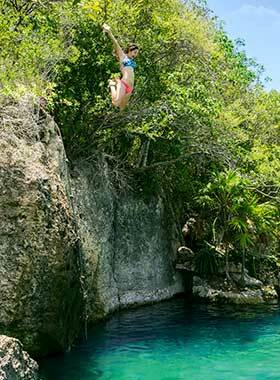 The Cliff of Courage is one of the more extreme activities at the Park; jump from a height of 5 meters, free your spirit and end up with a refreshing splash! The Trepachanga is waiting for all our visitors in Xel-Há, a real challenge of balance, agility, coordination, and endurance. 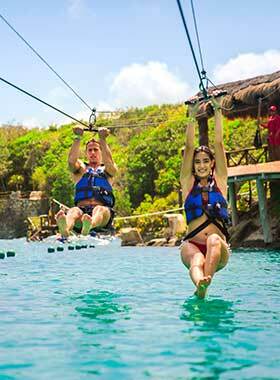 Enjoy a zip-line that ends with a fun dip in the refreshing waters of the Xel-Há river. The flight of Chuc Kay will make you feel free. 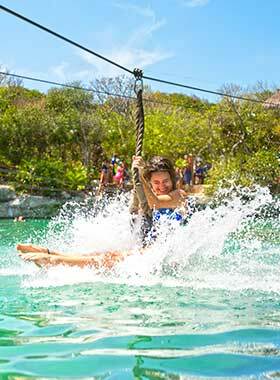 Swing on a rope and fall into the refreshing waters of a cenote in Xel-Há. 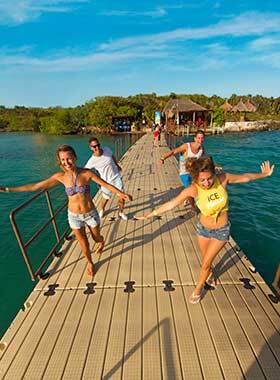 A wonderful recreational area for swimming, snorkeling and discovering the tropical fish living at Xel-Há. 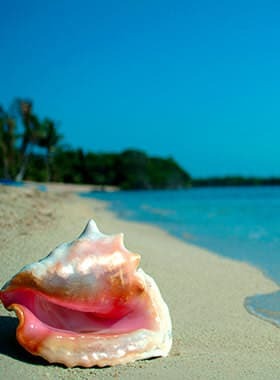 Find one of the best kept secrets of Xel-Há and enjoy a sacred place where you can relax and enjoy nature. 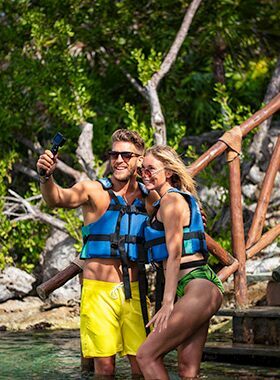 The Natural Wonder of Xel-Há offers endless experiences in a setting of unforgettable beauty such as the mangroves of the river. 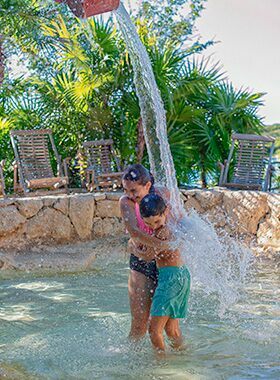 Xel-Há offers a special place so the younger adventurers can live the best experience in this Natural Wonder. 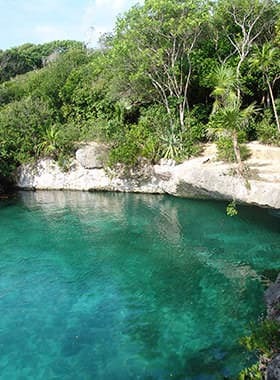 Above the jungle paths that lead to the River you can find the Ixchel Grotto, a lagoon of turquoise water for those looking for a more intimate place to swim. 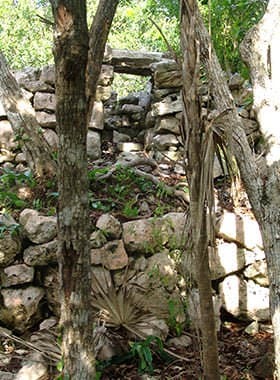 The vestiges of an important Mayan city can be found at Xel-Há, come discover this for yourself! 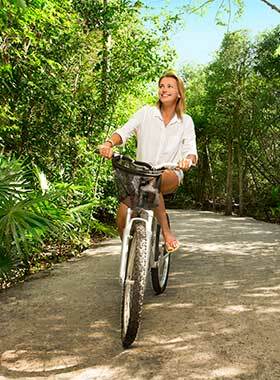 Enjoy a walk through the extensive system of trails full of wildlife and plants. Breathe the harmonious presence of a beautiful paradise of trees typical of the region that were planted by important personalities in Chacah’s Garden. 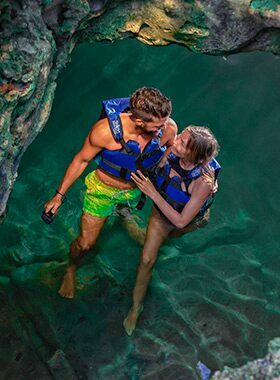 Uncover the magic, mysticism and beauty of the cenotes that are part of the Natural Wonder of Xel-Há. One of the multiple adventure activities of Xel-Há is the floating bridge, a great challenge to those who wish to cross over to the path of the forest. For nature lovers there is nothing better than to ride along the jungle paths of Xel-Há on a bicycle and observe the wildlife of this Natural Wonder. 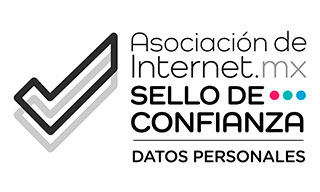 Xel-Há invites you to fly a Kite! 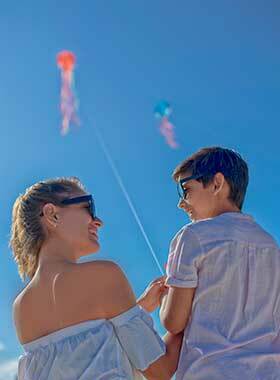 Come with your family to fly a kite in the paradise of Xel-Há. 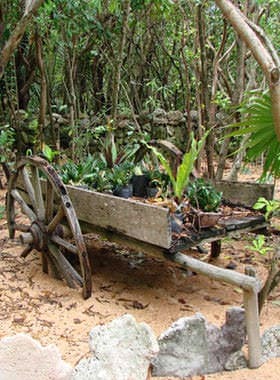 Visit Xel-Há Nursery and discover the home of a wide variety of flora that flourish in this Natural Wonder. 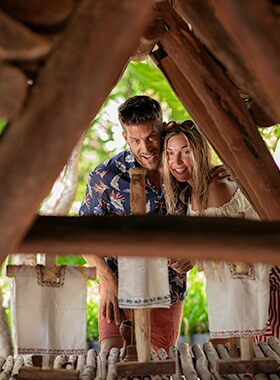 Among the flowers and trees of the Xel-Há Nursery you will discover a Mayan tradition full of magic and a very interesting creature, the Melipona bee. Xel-Há, in an effort to preserve the precious nature of this wonderful place, protects and monitors this beautiful but endangered species.